While Europe is lagging behind the US in terms of producing unicorns, there are a number of great successes that have come out of countries like Hungary, as well as in Central Eastern Europe as a whole. Recently, EBAN Member Hungarian Business Angel Network (HunBAN) has compiled a list of success stories from Hungarian startups that have had exits or investments on the international level. While the list is not exhaustive, it is a great indicator of just how much potential there is in Hungary, in the CEE region and the entire continent, potential that, in some cases, has been quite successfully utilized. In order to get the story behind some of these successes, EBAN Interviewed the President of HunBAN, Antal Karolyi, who has 6 years of experience as an angel and, in that time, has been working tirelessly to foster angel investment in Hungary. Antal shared some background and details on a few of the startups in question. The full list can be viewed at the end of this article. Perhaps one of Hungary’s biggest and comparatively less publicized successes is LogMeIn. The company provides SaaS-based remote connectivity, collaboration, and support solutions and is the definition of a unicorn. With an IPO on Nasdaq in 2009, they managed to reach the heights of success at a point where the entire world was plagued by a financial crisis. This detail makes it even more surprising that the achievements of this Hungarian startup are less widely known, than those of more popular household names. Ustream – a provider of cloud-based live video streaming services – is a more recent example of a Hungarian success story, but no less worthy of recognition. The company was acquired by IBM in 2016 for an unconfirmed amount, which was rumored to be in the range of 130 million. The last but not least, Hungary’s perhaps most popular startup is Prezi – the presentation software that is vying to dethrone Microsoft PowerPoint – probably the best known success for Europe, both in and outside of Hungary. While they have not had an exit yet, and are not as huge a financial success as LogMeIn, Prezi’s impact is colossal in terms of putting Europe, and Central Eastern Europe particularly – on the map where startups with huge potential are concerned. Besides these three heavy hitters, there are other success stories that are no less important. From NNG, who were the first to capitalize on the importance of collaborating with car manufacturers when producing navigation software; to IND Group, which was founded in 1997 and acquired in 2015 after many successful years of operation, breaking out of the mold of the typical startup success story; to rising stars like Balabit or Commsignia, who are well on their way to becoming the future huge success stories coming out of Hungary, and many more. Another important consideration is that throughout these success stories, we have numerous examples of entrepreneurs turning to angel investing after successful exits, like the founders of Indextools, IND Group, and NNG, among others. The interest in the Hungarian startup scene from foreign angel investors, including Finnish investor Kimmo Irpola and Swedish angel Andreas Kemi is also to be noted. Antal Karolyi mentions that the continued support of such foreign investors – who bring to Hungary not just their money, but also their extensive experience, is central to the development of the country’s early stage ecosystem. Together with successful Hungarian entrepreneurs and entrepreneurs-turned-angels, they are the backbone of the community. The Hungarian Business Angel Network is building up the angel ecosystem in Hungary by pulling together exactly the types of investors mentioned above. And while the network is still in the process of establishing itself, they are already active, holding events, being involved in the EBAN CEE Community and gearing up for the great things we can surely expect of them. Naturally, what draws investors to any given location is good deal flow. Which is why it’s important to leave behind the notion of looking at each Central European country separately and embrace the CEE region as one unified marketplace. As the countries in the CEE region are small on their own, pulling their resources together is the only smart way to go about building up the early stage ecosystem. Additionally, the deal flow coming out of the region becomes quite a bit more significant when looking at it as a whole. According to Antal, even if CEE’s early stage ecosystem is still being developed, it is precisely for this reason that getting the success stories out there and raising awareness is important – the next generation of Hungarian startups need to know that certain support systems do exist, and that great international successes have come out of the very market they are operating in. 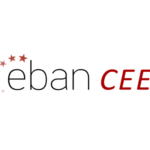 BVB and Nomination Committee for Made in Romania select 50 companies to enter the last stage of the project invites the public to vote for their favoriteDiscover the EBAN CEE Community!